Author Deanna Singh speaking with Lake Effect's Mitch Teich. When The Snowy Day was first published in 1962, it was a bit unusual. The now classic children's picture book was one of the very few at the time to feature an African-American child as its main character. More than fifty years later, children of color are still the exception when it comes to characters in picture books. That bothered Milwaukee’s Deanna Singh, and she decided to do something about it. 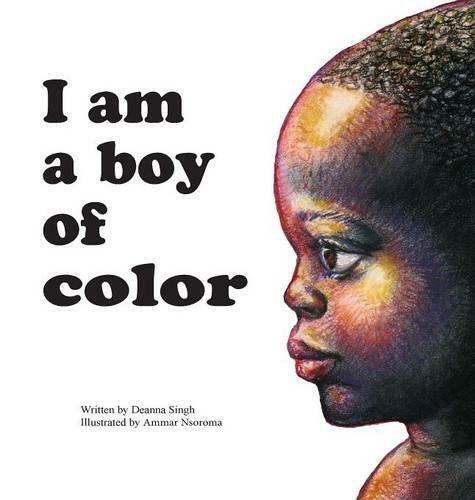 Her new book, called I Am a Boy of Color, prominently features children of different ethnic backgrounds. "The idea is that we want to make sure that all children, no matter what shade they are, can find themselves in literature. And so this book is a real reflection of the diversity, the beautiful diversity, that we have in our world," says Singh. She wants the book to inspire kids, especially those who don't often get to see children who look like them in picture books. Singh says this is part of a larger movement. "We hope that this book a positive, and have a positive impact on the lives of young people. But we also know that this book alone isn't going to change the trajectory, right? This book alone is going to be part of a much bigger opportunity," she says. To that end, Singh helped create the Flying Elephant Foundation, which is run by her two children: eight-year-old Zephaniah and four-year-old Zion. "The goal of the foundation is to take those proceeds and then reinvest them into other projects that are focused on really promoting the idea of our children, right? And promoting the idea of positive self-images of our kids," says Singh.